The Saskatoon Blades (2-4-0-0) are looking for a bounce back as they hit the road and travel to Edmonton to take on the Oil Kings (3-2-0-0). 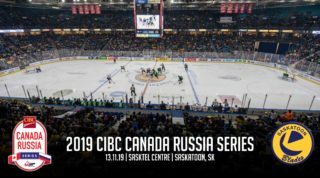 The Blades are hoping a return to the road can be a blessing in disguise as they are coming off a tough, 10-1 loss last night against the visiting Swift Current Broncos. 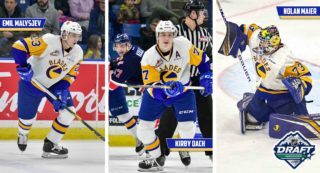 The Blades have found success on the road so far this season, earning both of their wins on the season away from their own rink. 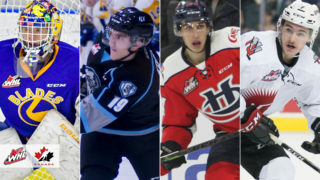 While hitting the road might be a positive thing, it’s surely not an easy task as the Edmonton Oil Kings are the defending WHL Champions and are coming off of their own tough games. Not only that, but the Blades haven’t had a ton of recent success against them. In the 2011-12 season series, the Oil Kings won 3 for the 4 games. Looking at last night’s game in a positive light, the Blades got a solid contribution from veteran forward Jessey Astles. 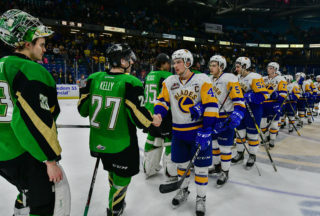 The 19 year old had the hit of the game, set the tone physically for Saskatoon and also posted his first goal as a member of the Saskatoon Blades with his 2nd period marker. The Blades also got a welcome addition back in the lineup as Ryan Graham played his first game of the season after missing all of training camp, exhibition and the start of the regular season with an upper body injury. 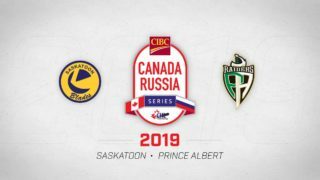 The game tonight goes from Edmonton at 7:00PM SK time. You can tune in to the broadcast on 92.9 The Bull, starting with the pre-game show at 6:30PM.